One of the greatest things about working with nature is that one is never entirely sure of what one will see and today was certainly no exception. 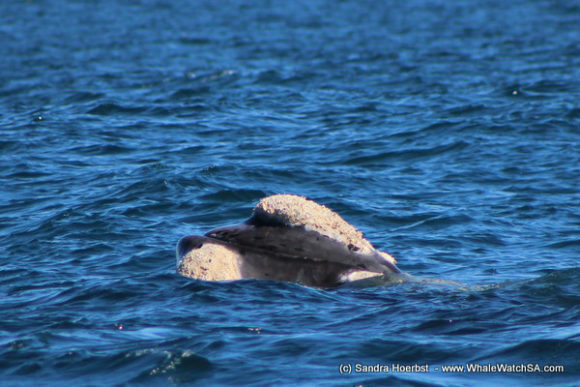 Although whales are our primary focus at this time of year, the other animals in the bay really gave them a run for their money with some pretty cool happenings all throughout the area. 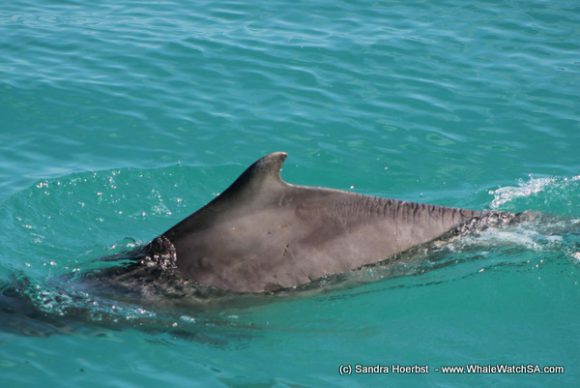 On our first trip, we got to see the Marine Big 5 with our first sighting being of two Indian Ocean Humpback Dolphins. 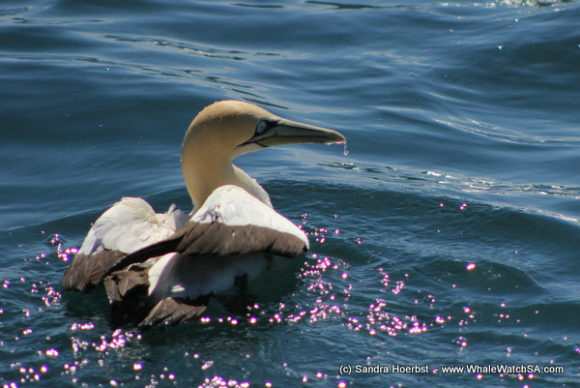 We’ve started to see them a little more frequently again and we’re loving every second of it! Today, we had Claw, one of our known individuals with her not so little calf and they came exceptionally close to the boat, giving us a great show! 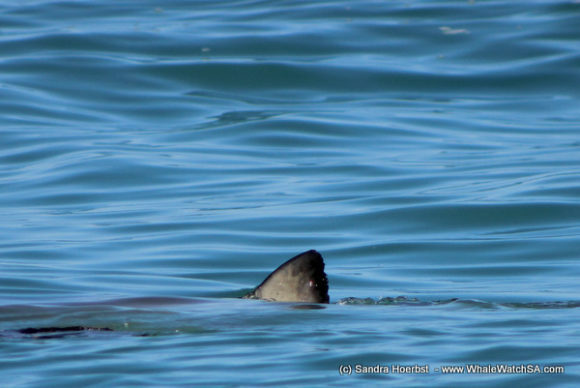 Our stop at Slashfin was just as spectacular when we got to see Saco, a 3m female White Shark attempt to get the bait. This stunning girl was wonderfully active and we got to see her rush after the white float numerous times. Shockingly, even at this size she is not yet sexually mature and will have to grow to a size of around 4.5-5m before she will start having pups. To read more about this jawesome creature, check out our sister company’s daily blog. 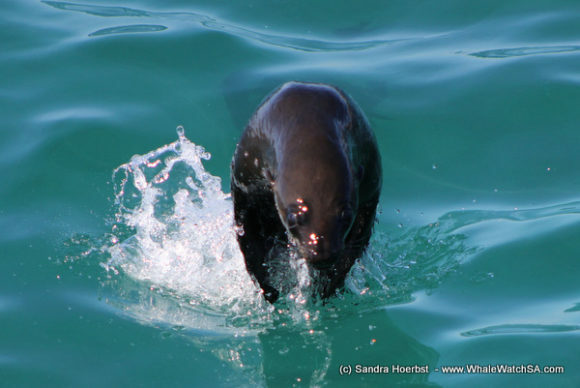 Following this, we head over to Pearly Beach where we spent some time with a mating group of Southern Right Whales which included a brindle individual. Whilst watching the whales we had an aeroplane fly over. Watching the whales from the air is quite an experience but it also allows for some great research opportunities as one can get photos of the whales’ heads with their unique white callosities. This year will be the 46th year where Ariel surveys are used to document the whales along our coast, making it one of the longest running studies of marine mammals along our coast. Geyser Rock was the next port of call, with us seeing something sad as we made our way into the alley. 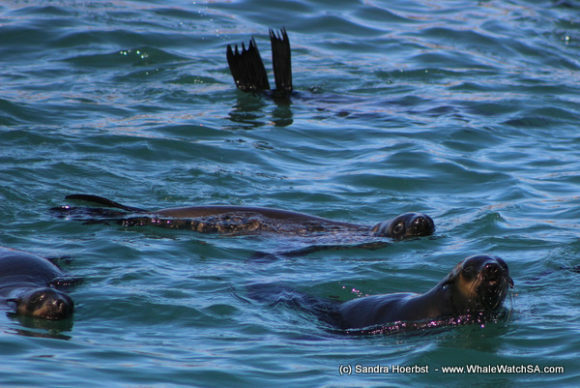 A female Cape Fur Seal had aborted her tiny pup, which would have been born around December. Although this is not nice to see, it does remind us that it really is survival of the fittest out there. 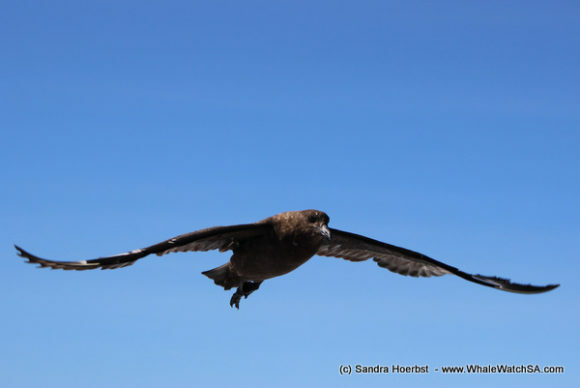 But, some good news, we got to release 2 seabirds from the African Penguin And Sea Bird Sanctuary, with a Cape Gannet and a Cape Cormorant got a second chance at life. 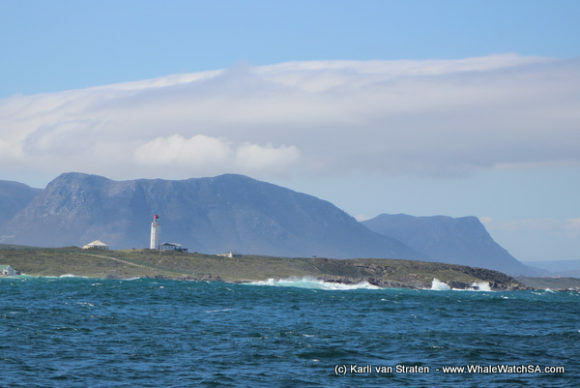 After this excitement, we made our way around Danger Point on our way back into Gansbaai harbour. Whilst going around the point, we spotted something pretty tragic when we found a seal with a plastic bag around its neck. Although we were unable to save the seal today, we will be sure to keep an eye out for him at the island to try and see if we can get a rescue team through to disentangle him. 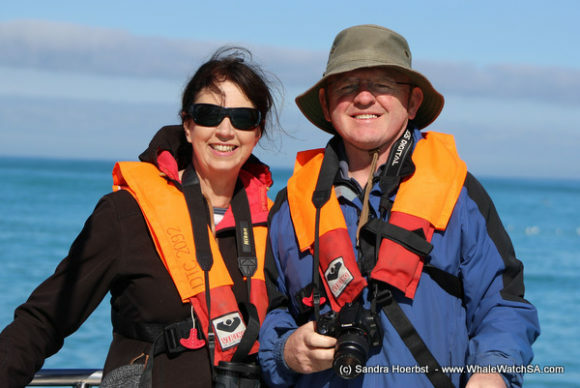 Our second trip of the day also got to see some cool sights, with a massive Mola Mola or Sunfish just in front of the infamous Danger Point Lighthouse. 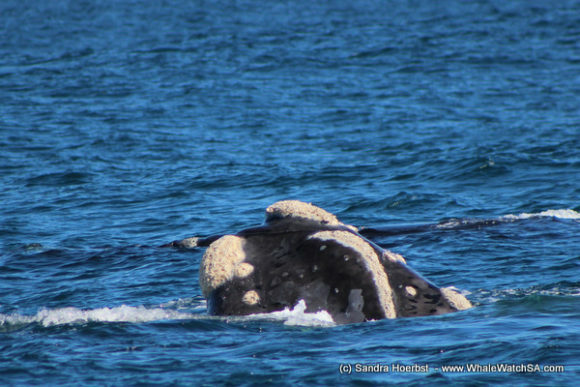 Next up, we spotted a couple of Southern Right Whale that we stayed with for a bit before moving on towards Dyer Island. 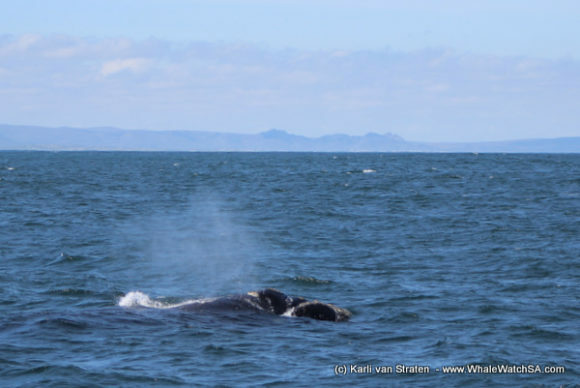 The absolute highlight of the trip was a Humpback Whale that we found a kilometre or so behind Geyser Rock. 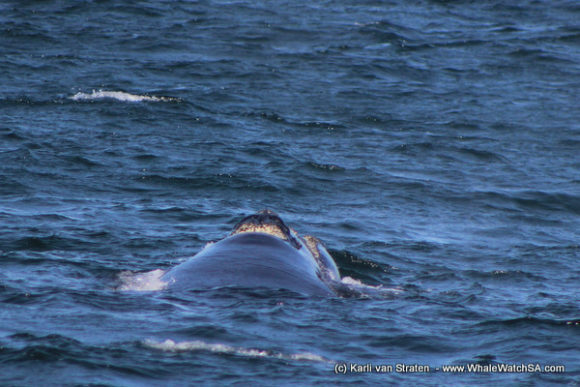 The whale took 2 deep dives in which we were able to see its beautiful tail fluke. The Humpbacks moving past our coast undertake far larger migrations than our Southern Right Whales, moving all the way from Antarctica to the warm, tropical waters of Mozambique and Madagascar. At this time of the year, we’re not seeing them too frequently so this was a really nice treat to end the day with.